We were given a one night stay at the Prince of Wales Hotel in Waterton as a gift from our daughter for our 40th anniversary. What a delightful ambiance this hotel holds! The room was quaint, and did not have all the bells and whistles that the newer modern hotels have, but it was very nice regardless. The view of the lake was so awesome, and we had a wonderful breakfast the following morning and dined beside a gentleman who has been coming here for years. He said that this was his favourite hotel, and he has stayed at other Park hotels, and nothing compares with the beauty and surroundings of this hotel. It was most enjoyable for us, and we were born and raised in Fort Macleod. 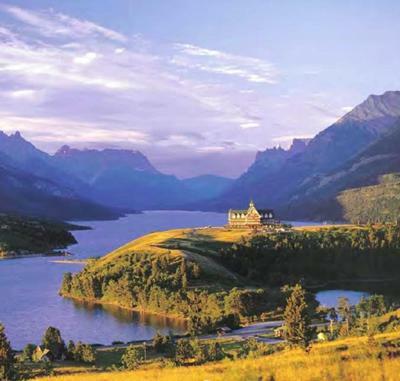 Many trips to Waterton over the years, and taken many visitors to see this famous hotel. Thank you for saving this great peice of history for all to see and enjoy. My wife and I stayed in a lake view room at the Prince of Wales Hotel in 2004. I liked the historic atmosphere, and outstanding views. My wife was put off by the aging couple making love in the next room, clearly visible through the ill-fitting adjoining door, and the constant howl of wind squeezing through the window. You can enjoy the best this hotel has to offer by having supper in the dining room and drinks in the lounge afterwards.